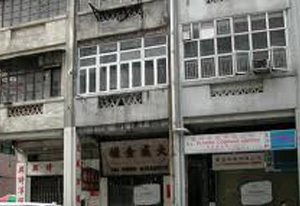 29-31 Aberdeen Street is a typical tong lau (唐樓) tenement built during the 60s in Hong Kong. Designed for both residential and commercial uses, they are similar in style and function to the shophouses of South East Asia. The post-war boom and influx of immigrants meant Hong Kong ran short of housing. The Tong lau were seen as a solution and many of these buildings were renovated to become rental units. After the 1960s, many tong lau buildings were demolished to give way to taller apartment and commercial buildings. Comparatively few tong lau are found in Hong Kong today. The structure housing Atria on 29-31 Aberdeen Street was built in 1967, master planned by Pak Kwong Architects of Queen's Road Central who designed many tong lau structures in the Central and Western Districts at the time. Fast forward 40 years to 2007 Atria regenerates 29-31 Aberdeen Street to house holistically approached serviced apartments for the sophisticated urbanite. Aberdeen Street is an arterial thoroughfare running through major intersections from Mid-levels (Caine road) Soho (Staunton street) Upper Central (Hollywood road) ending at Queen's Road Central on Hong Kong Island. 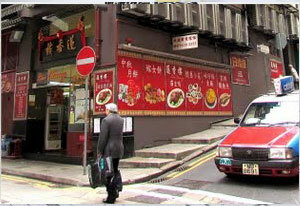 It also acts as a border street dividing Sheung Wan and Central. The street is named after George Hamilton-Gordon, the 4th Earl of Aberdeen, foreign secretary at the time of the cession of Hong Kong Island to the United Kingdom in 1842. Today Aberdeen Street is home to art galleries, cool fashion boutiques, and local eateries. Hong Kong's dim sum institution the Lin Heung Tea House is located at the lower end of Aberdeen Street.